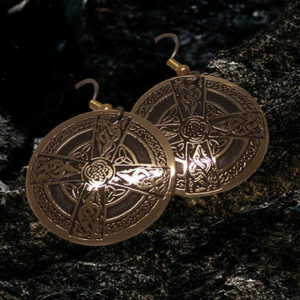 Irish handcrafted Celtic earrings. Handmade on the Wild Atlantic Way, Ireland by Paul Connolly. Diamond design from the Book of Kells, emphasising the Celtic Art of Knotwork. others thought it may be a covenant, and still to others it could be the path of their destiny. it was thought that the monks used this time of concentration to pray and meditate. 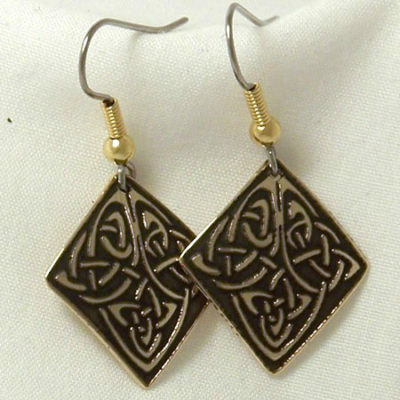 The dark hue of the contrasting etched Celtic design compliments the craftsmanship of these Celtic earrings. 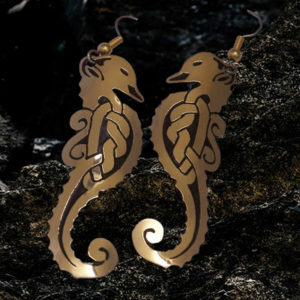 Handcrafted Celtic jewellery from Ireland by Paul Connolly. 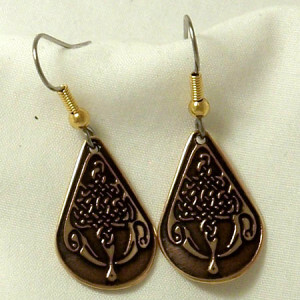 Ideal ladies Celtic gift from West Cork, Ireland. 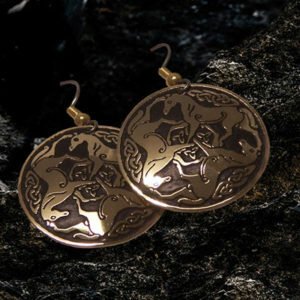 Size Width 2cm. Length 24mm.